The Yellow bullhead is similar to the black bullhead in nearly all respects, except it has white or creamy chin barbels. 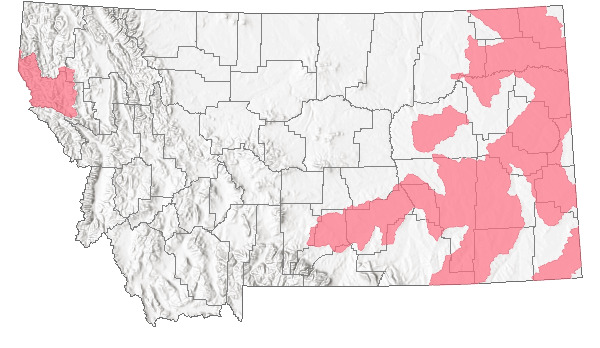 It has been introduced from the Midwest into a few scattered locales, mostly in southeast Montana, but is of little consequence to the fishery fauna of this state. 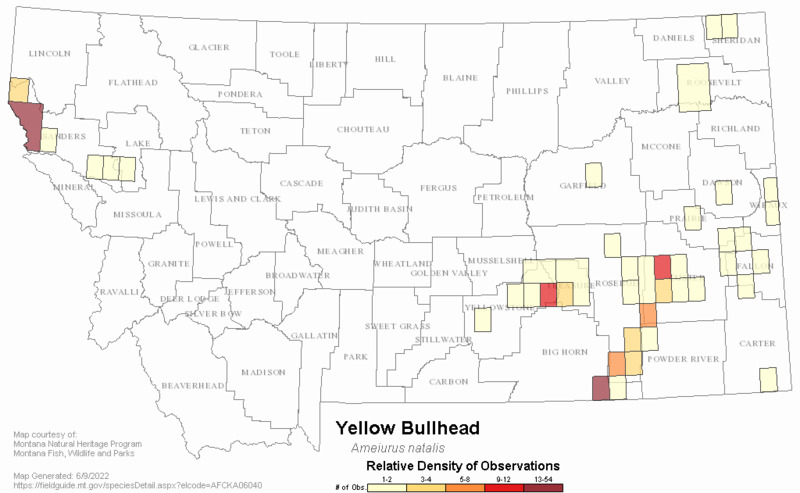 Overall yellowish brown to yellow, back darker,underside yellow or white. Young usually dark brown or black, with light-colored underside. Rear edge of spine in pectoral fins has saw-like teeth. Weedy, shallow, clear-water areas of lakes and slow-moving streams. Food mostly aquatic insects, mollusks, crayfish, and small fish. May also eat remains of dead organisms. 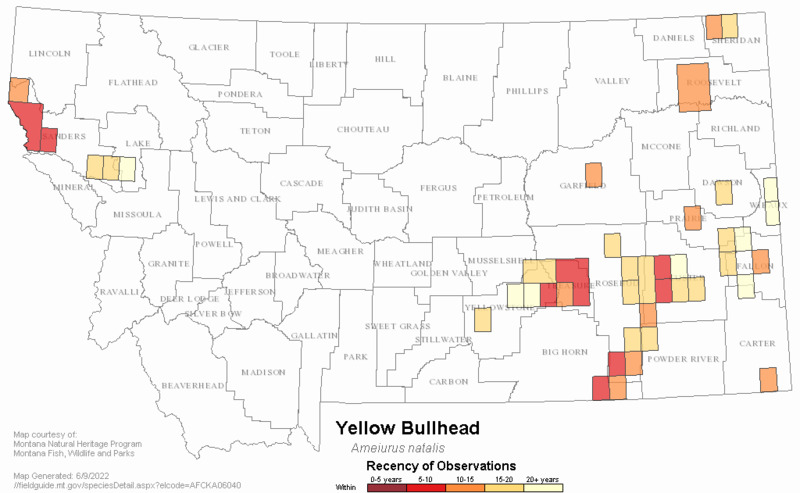 Usually associated with black bullhead where found in southeast Montana. Rarely lives past 4 years. Sexually mature in 2-3 years. Spawns May-early July in 1-4 ft. of water. 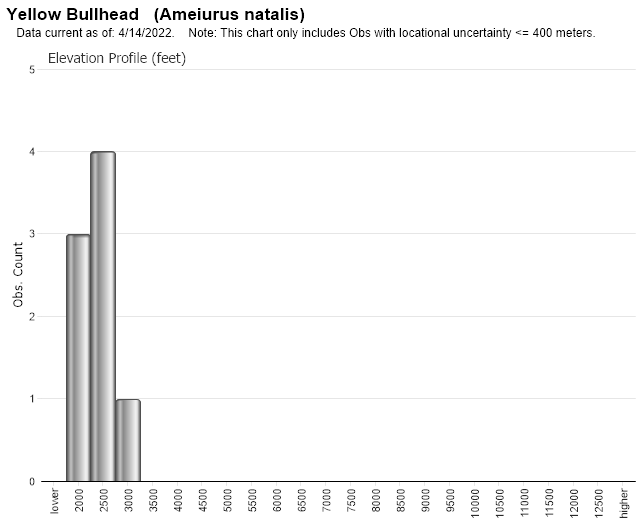 Web Search Engines for Articles on "Yellow Bullhead"